As the rainy season approaches in Wajir in northeastern Kenya, Médecins Sans Frontières (MSF) is warning that the substandard water and sanitation situation is creating ideal conditions for a future increase in cholera cases. While today patient numbers in the cholera treatment centre in Wajir Hospital are stable, the organization is urging for an immediate improvement in sanitation services to avoid another spike in the outbreak. Since July 2015, some 2,566 patients have been admitted to Wajir Hospital, and 39 people have died. Today, many of the water sources are drying up and the lack of sufficient human waste disposal in the area means there is a high potential for further spread of the disease. MSF is warning that the substandard water and sanitation situation is creating ideal conditions for a future increase in cholera cases. “The outbreak that has been affecting Kenya for over a year now is far from over,” says Charles Gaudry, MSF’s Head of Mission in Kenya. “Even if patient numbers have decreased, the upcoming rains in March and April will likely revive outbreaks." Soon after the Wajir epidemic began, MSF deployed emergency teams from Nairobi and Dadaab refugee camp, including Kenyan staff and Somali refugee staff. 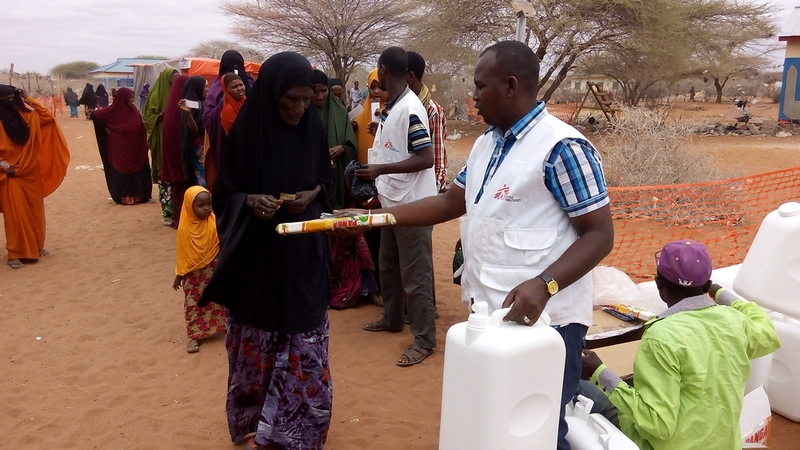 Alongside the Wajir County Department of Health, MSF carried out a health promotion campaign and distributed water purification kits to 5,728 families. When the December rains triggered a significant increase in patients, MSF also provided additional staff to the cholera treatment centre set up in the hospital. MSF has now withdrawn its staff back to Dagahaley camp in Dadaab and Nairobi, but remains ready to support the Department of Health in Wajir if there is a new increase in cholera cases. Cholera also hit Dadaab’s refugee complex, further south in Garissa County. Since last November, 1,566 cholera cases have been reported among the 330,000 Somali refugees living in precarious conditions. New admissions have now decreased and MSF is closing its cholera centre set up in its hospital in Dagahaley camp, where 633 patients have been treated. Any new cases will now be treated in an isolation ward in the hospital. MSF also carried out health promotion campaigns in Dagahaley camp. Additionally, teams worked to disinfect patients’ households within 24 hours of their admission to the cholera treatment centre to avoid further spread of the disease in the camp. An around-the-clock ambulance service was also implemented specifically for cholera patients.